It's not quite 2016 yet, but I've decided that one of my New Year's Resolutions is to improve my makeup skills, and I'm going to start the year by tackling a type of makeup that I've always been a bit afraid and reluctant to try: eyebrow makeup! 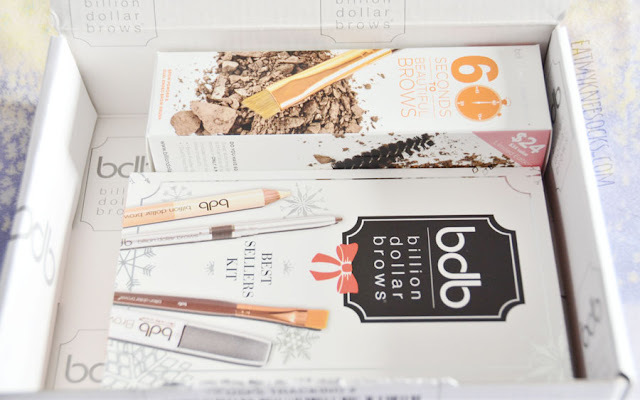 I got two products from Billion Dollar Brows, including their 60 Seconds to Beautiful Brows Kit and Best Sellers Kit, two sets that have all the essentials when it comes to creating the perfect eyebrows. Review after the jump! 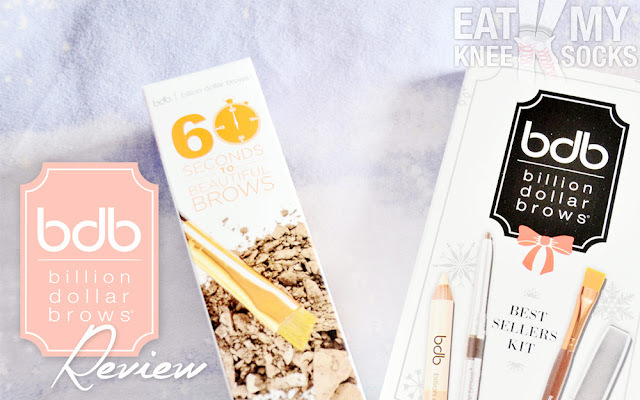 I'm delighted to be working with Billion Dollar Brows to bring you a review of two of their most popular products: their 60 Seconds to Beautiful Brows Kit and Best Sellers Kit! But first, here's a bit about the brand. As you've probably guessed by the name, Billion Dollar Brows focuses on creating products to help you get perfect eyebrows. They have a range of pencils, powders, gels, and tools, gaining worldwide recognition as well as media features in E! News, Vanity Fair, New Beauty, and more. I received two of their kits to review. 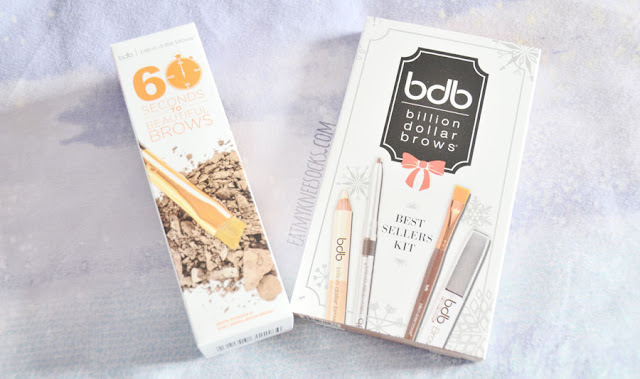 The package came in a white cardboard box with the Billion Dollar Brows logo printed over it. Inside were the two kits, both featuring simple yet cute packaging. First up is the 60 Seconds to Beautiful Brows Kit. This two-piece eyebrow set, sold for $24, combines Billion Dollar Brow's brow powder and dual-ended brow brush to give you a quick, simple way to get beautiful eyebrows. Admittedly, I'm no expert with makeup, and I've never actually tried using eyebrow makeup before. 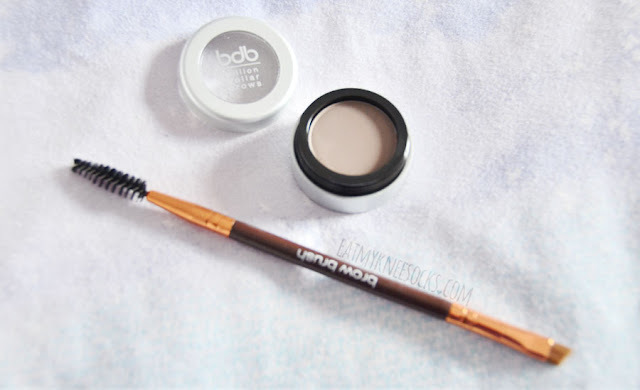 This 60 Second set is pretty easy to use, though, and it comes with everything you need for a simple eyebrow makeover. 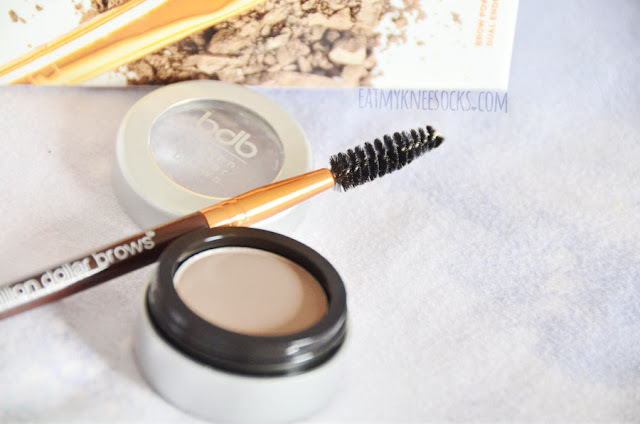 I have very dark eyebrows, so the taupe-colored brow powder is a tiny bit too light for me, though it works well for a natural, everyday look. The dual-sided brow brush is very easy to use and works great with the powder; just use the angled brush to add color and then use the spoolie brush to blend it. It's a very useful kit, and it saves you $10 compared to buying the dual-ended brush ($16) and brow powder ($18) individually; you're basically getting products worth $34, but for $24! Since the powder comes in taupe, I'd recommend this for people with light, medium, or dark brown hair. 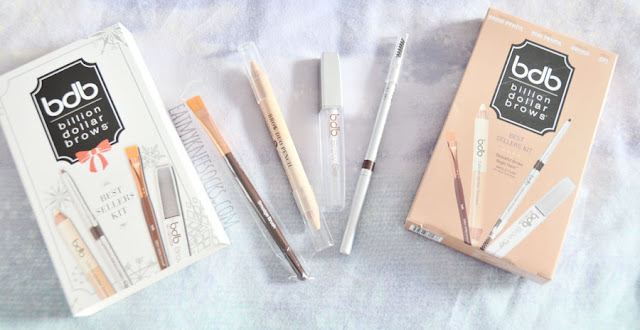 I also got to review their Best Sellers Kit, a $42 4-piece kit with products that are valued at $68. Inside this kit was Billion Dollar Brows' universal brow pencil, brow duo pencil, brow gel, and smudge brush. 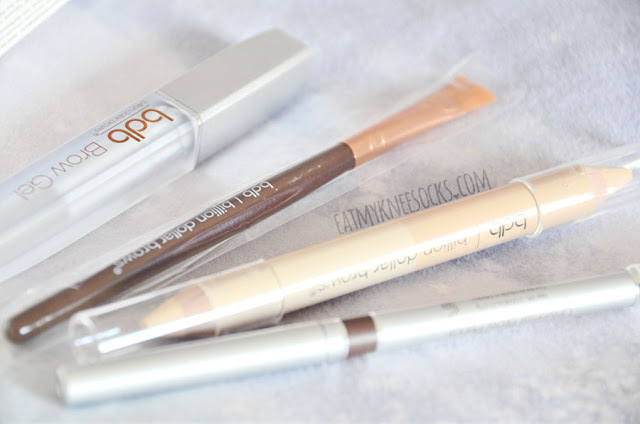 This 4-piece set is really all you need for beautiful brows. My favorite piece is the universal brow pencil, an automatic brown eyebrow pencil with a spoolie brush on one end for easy blending. 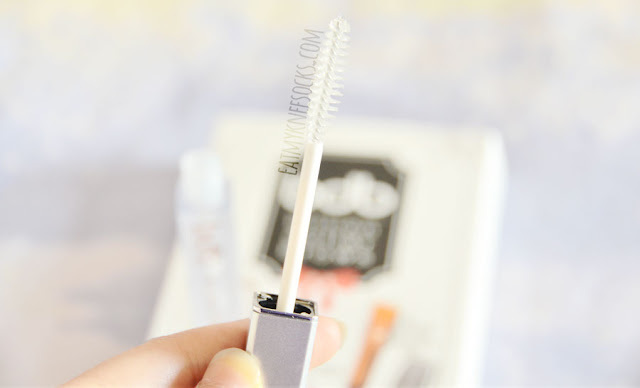 It's super easy to use and goes on smoothly, with a light but buildable color. The dark brown shade supposedly works for most skin tones and hair colors, and the attached brush makes it a simple all-in-one piece. 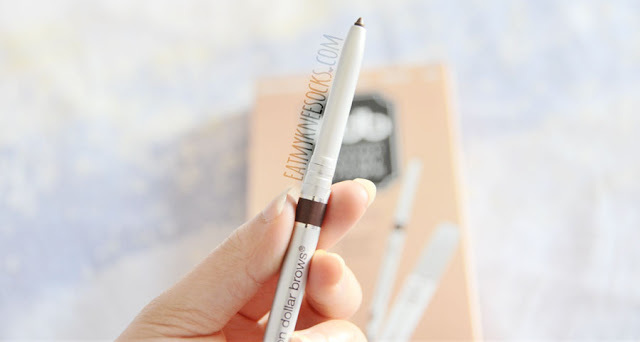 The kit also includes the brow duo pencil, a dual-function creamy pencil with one end that serves as concealer and another that serves as highlighter. The highlighter adds definition and lift to your browbone, and, like the concealer, can be used not only on your brows, but also on other parts of your face. The concealer is great for covering up blemishes or hiding dark circles too. With the brow duo pencil, this kit includes a flat brow brush to help you blend out your makeup. 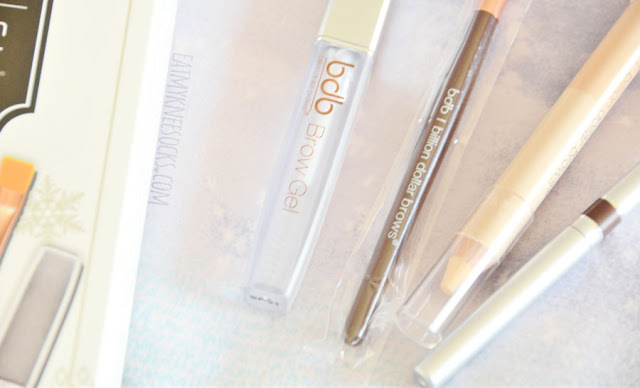 There's also the brow gel, a clear gel that helps you hold your brows in place and lasts all day. 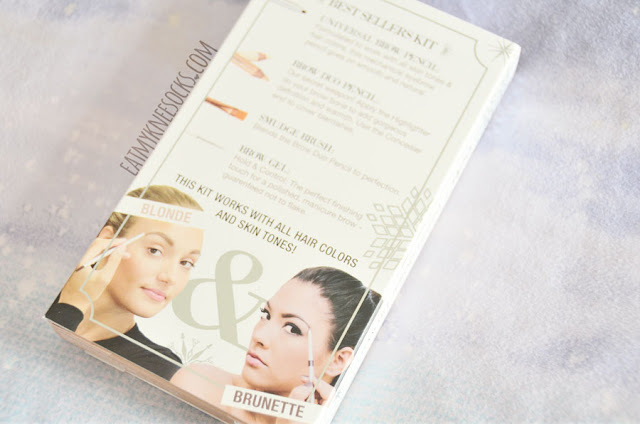 I'm definitely no pro at using eyebrow makeup, but this kit includes all the essentials and outlines how to use each product, so it's great even for beginners! The packaging is adorable and, while it'll take some time for me to master the use of these products, I feel well-equipped with all these amazing products. 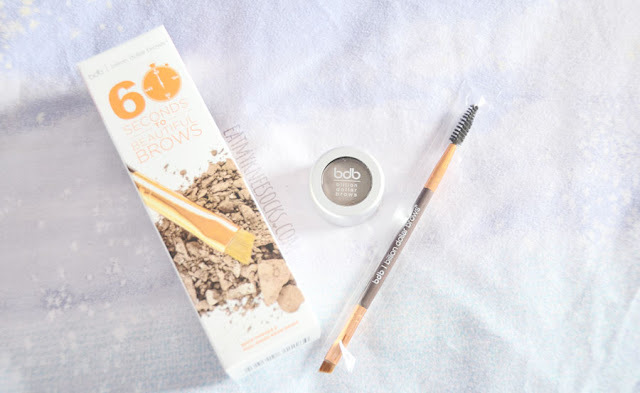 I think the 60 Seconds to Beautiful Brows Kit is best for a quick, everyday look, for those days when you roll out of bed and don't have much time or effort to get too detailed with your makeup. The Best Sellers Kit has all essentials, which can each be used apart for their own purposes, or combined to create the perfect eyebrows. If you're in need of eyebrow makeup, check out Billion Dollar Brows!